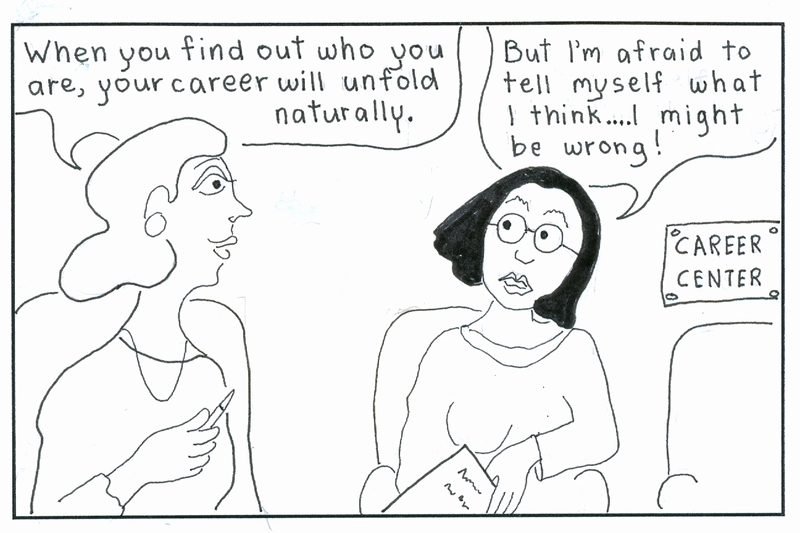 Drawing by E. Wagele from “The Career Within You,” by Elizabeth Wagele and Ingrid Stabb, HarperCollins. 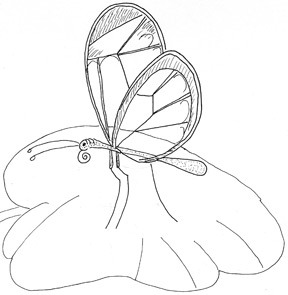 The Glasswing Butterfly is a symbol for the sensitivity of the Observer personality. Observers aren’t all super-sensitive or delicate, but many don’t like loud noises, glaring lights, or rough clothes against their skin. Most prefer to stand back and watch what’s going on from a safe distance and most avoid conflict. Observers tend to live in their heads. They can be rich containers and synthesizers of information for the rest of us. 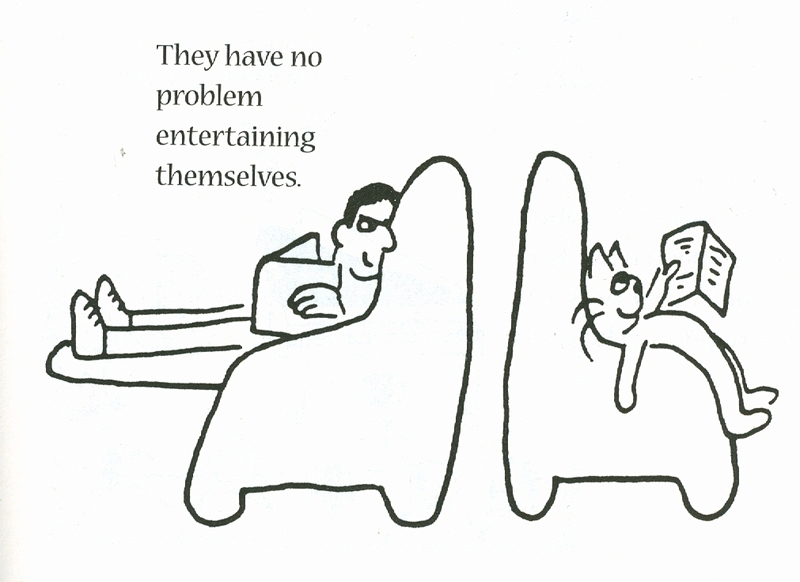 If we’re highly extraverted, particularly, we may not notice them because they tend to be quiet. Some of them are forthcoming about their opinions, even argumentative, and bring attention to themselves. Others are shy. Observer children are usually good at finding things they like to do. Reading is often one of them. Some are attracted to investigating things on computers or the workings of computers. Some become scientists. Some become writers. Some are good at classifying material or mechanical things. Observer children often have an independent streak and easily feel intruded upon. Sometimes, because they don’t mind solitude, a parent worries about their social life and becomes pushy in that regard. Observers are often content with one or two good friends. on the Perfectionist Enneagram personality. 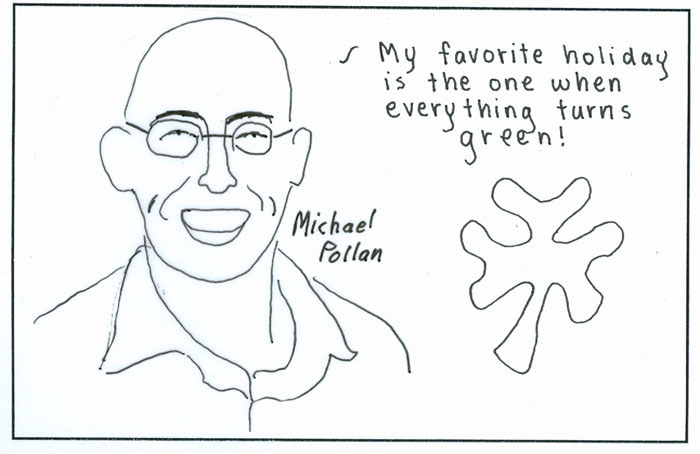 Al Gore, Michael Pollan. Just in time for St. Patrick’s Day. Other Perfectionists: Hillary Clinton, Ralph Nader. This post is also about Theodore Roszak, ecology, and eco-psychology. To finish reading the post on Questioner adults in yesterday’s Psychology Today blog, click here. This and the one from 2-23-10 on Questioner children are companion pieces. 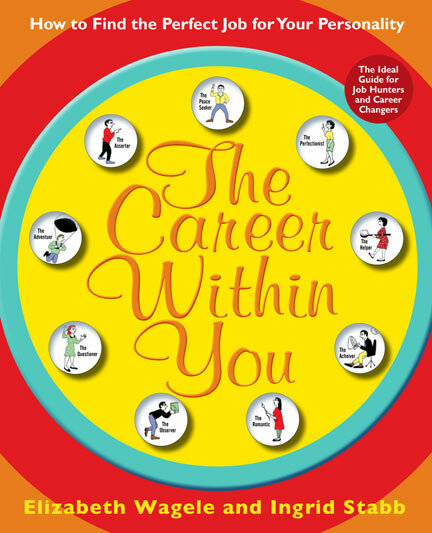 Buy “The Career Within You” now: Amazon.com, Indie-bound, Barnes and Noble.